World class soloist’s and great music! A bright spring and midnight sun outside and a warm and historic atmosphere inside. 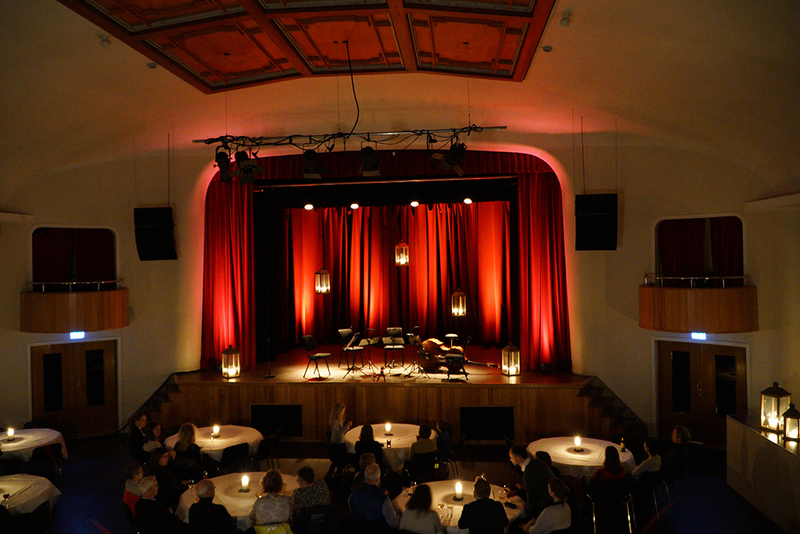 Welcome to the Arctic Chamber Music Festival’s spectacular opening gala evening at Huset. This year you have the unique opportunity to meet many of the festival artists together with the Arctic Philharmonic, all in the same concert! The repertoire will stretch from opera arias to violin concertos and some of the greatest music written for chamber orchestra. After the concert, you are invited to join us for a night cap and social gathering at “Late Night Opera” at the Bistro. Or perhaps you prefer to dine in the restaurant? The concert repertoire will vary from opera arias to beautiful violin concertos and some of the greatest music written for chamber orchestras. Meet the renowned soloists Eldbjørg Hemsing, Henning Kraggerud and Adrian Brendel - performing together with musicians from the Arctic Philharmonic. 18.00: meet & greet at Huset, aperetif. 19:00: concert start. Concert programme TBA. 20:30: 3-course dinner in the Restaurant. Musical surprises. Huset was built in 1951 as a meeting house for the residents of Longyearbyen. As Longyearbyen was originally a “company town” with two class distinctions, Huset was built on “neutral ground” outside the town centre. This legendary building, which is now a leading restaurant, has also served as the local post office, hospital and school. A) The concert and dinner is part of the complete package tour and the festival package. B) For single tickets (concert only), you can buy tickets via the link below. C) If you want to order concert (best seatings) and dinner, please e-mail: sales@svalbardadventures.com. This includes 3 course dinner, wine-package and concert: 1.550 kr,- Limited availability. *Please advise of any food allergies at the time of booking.